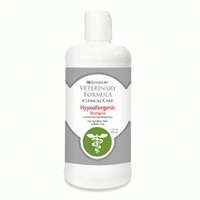 Synergy Labs Veterinary Formula Clinical Care Hypoallergenic Shampoo for Sensitive Skin - Sulfate Free - 17 oz. Will not irritate sensitive skin. Free of harsh ingredients, dyes and fragrances. Idea for pets with known allergies. 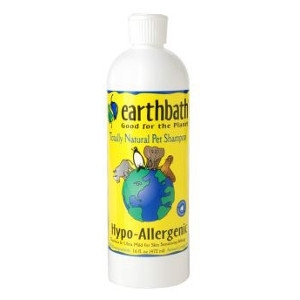 Mild and tearless formula is idea for pets with allergies or sensitive skin. With gentle ingredients to promote healthy skin. Vitamin E: Antioxidant properties - supports skin health. Lactic Acid: Results in superior lipid barrier - maintains moisture in skin. Allantoin: Moisturizing, keratolytic, & anti-irritant properties - helps heal & soothe. Bell Rock Growers Pet Greens Shampoo - Senior 16 oz. 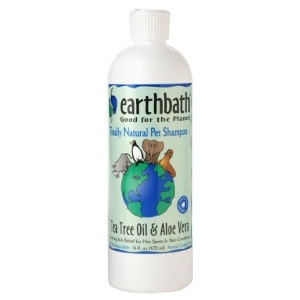 Ark Naturals Neem Protect Shampoo 8 oz. 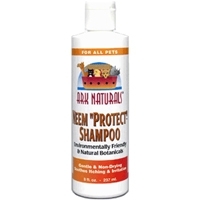 Ark’s Neem “Protect” Shampoo is an environmentally friendly, gentle, and non-drying formula for cleaning dirt, oil and sebum from your pets including: dogs, cats, horses and other pet coats. The active ingredient in our shampoo is Neem, a tree native to the Indian subcontinent. Neem has been used for thousands of years by the people of India, Southeast Asia and Africa. In the natural product world it has many uses. Contains no sodium laurel sulfate. Made in the USA. 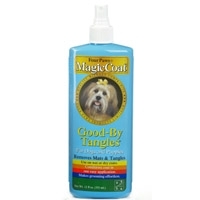 FourPaws Magic Coat Good By Tangles for Dogs and Puppies 12 oz. 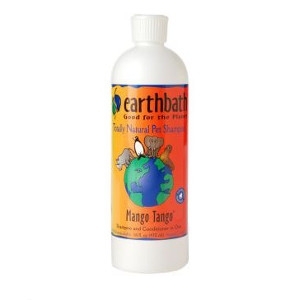 Four Paws Good-By Tangles has been specially formulated to aid in removing tangles, snarls and matted hair quickly and easily without discomfort to your dog. 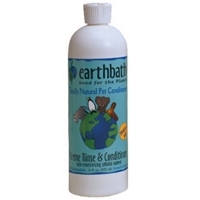 It will leave your pet's coat soft, lustrous and easy to manage. 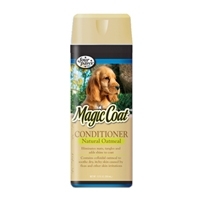 Four Paws Magic Coat Oatmeal Creme Rinse 16 oz. Recommended by Veterinarians. 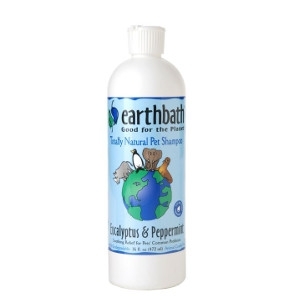 Soothes and conditions dry, itchy skin caused by flea and food allergies. Contains natural colloidal oatmeal. Will help relieve all matting and tangle problems your pet may have. Your pet's coat will be left with a healthy and natural shine. 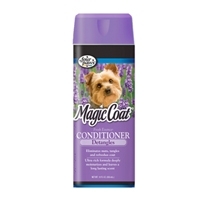 Four Paws Magic Coat Fresh Essence 16 oz. This product will relieve all mat and tangle problems from the pet's coat while leaving it beautifully scented. A great companion product with Fresh Essence Shampoo and Fresh Essence Cologne. 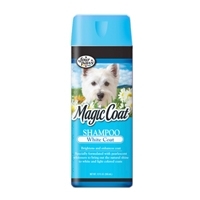 Four Paws Magic Coat White Coat Shampoo 16 oz. 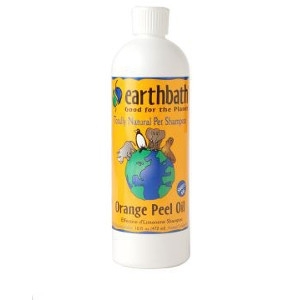 This product is excellent for the use in brightening and conditioning the animal's coat. Brings out the natural high luster on any color coat while helping to eliminate tangles. 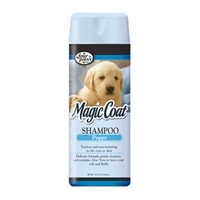 Four Paws Magic Coat Puppy Tearless Shampoo 16 oz. This shampoo is non-irritating to the puppy's eyes. 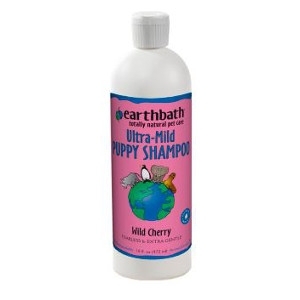 It cleans gently and thoroughly and eliminates puppy odor. It leaves the puppy's coat lustrous, pleasantly scented and easy to manage. 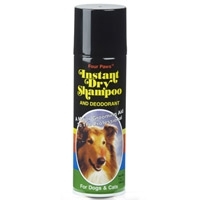 Four Paws Instant Dry Shampoo and Deodorant 7 oz. This product is used as a whitener-cleaner by professionals. You can shampoo pets anytime, anywhere, faster and easier than ever before. This product will remove grease and grimy substances from animal coats. No water is required. It will leave the coat lustrous, pleasantly scented, and easy to manage. 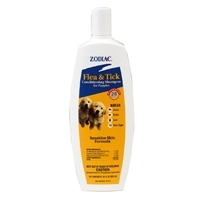 Zodiac Flea & Tick Conditioning Shampoo For Puppies 18 oz. Kills fleas, ticks, and lice on contact. Contains (S)-Methoprene Insect Growth Regulator to kill flea eggs for 28 days. 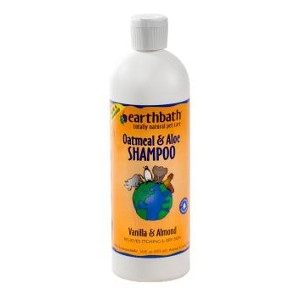 Enriched with aloe, lanolin, oatmeal, and coconut extracts. Powder fresh scent. 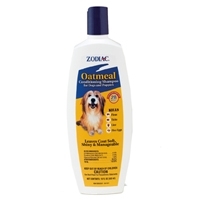 Zodiac Oatmeal Conditioning Shampoo For Dogs/Puppies 18 oz. Flea and tick shampoos should be tough on fleas and ticks, not on dogs and cats. That's why Zodiac® has developed shampoos full of rich, skin-soothing conditioners, plus active ingredients that make short work of fleas and ticks. Between-bath clean! Our no-rinse, fragrant blend acts as a calming cleanser and moisturizer for skin and hair coat between baths. Great when water is unavailable or in cold weather. 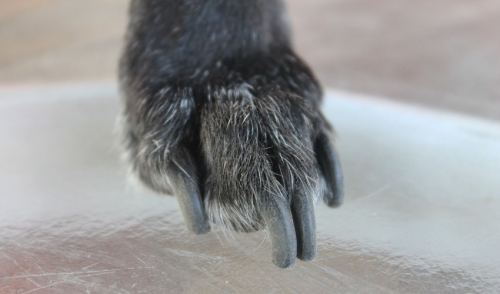 It also works without affecting topical flea protection. No-sting clean! Our comforting, alcohol-free shampoo quickly cleans and soothes hot spots as well as red, raw, irritated skin. Will not affect topical flea control. Use with Hot Spot Foam and Spray. 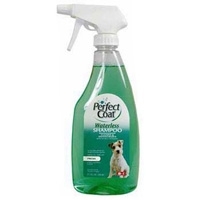 Perfect Coat Waterless Shampoo is an excellent alternative for puppies, senior, injured, or other difficult to bath dogs. The alcohol-free, non-greasy Aloe Vera formula gives fast relief from tangles while cleaning deep, rejuvenating coat and skin.